My Review on Fiverr.com, Is It Legit Or Scam? Fiverr began their company back in 2009 by offering freelance work for only 5 dollars, hence the name Fiverr. They are similar to upworks, except they offer much more than just article writing. Their services range from blog posts up to voice acting services. From my personal experiences, I haven’t had much luck with Fiverr, though I only offered blog posting work. I can see a lot of potential in this company If someone put their heart and soul into it. This review is going to be ongoing, I plan on going back and trying my hand out on voice acting, who knows maybe I can be the next Robin Williams, lol. But seriously, there’s a lot of money that can be made with webinars and tutorials. I love writing blog posts and articles, but when you’re just starting out it can be hard to pay for those earlier expenses. Fiverr, like upworks can provide you will contract work that will give you that necessary income to build your future. It’s a 2 fold program, it’s for those looking to make an extra buck and it’s for those looking for someone to work for them. There are so many reports out there of people who have made successful careers out of working for Fiverr. Though it takes a lot of dedication and time, much like any online adventure. Most of the training is withing the program, they help you create a profile with what other people are looking for. They have a support portal page here that you can find help. I personally haven’t used it, most of what I found was up front. To sign up is free, though there is a 20% fee when getting the gig. Your best best is to hope how much your getting pays for the fee. There are so many ways to make money online, it’s crazy and can make your head spin. Fiverr is just one of many, though there has been a lot of good reports from them. 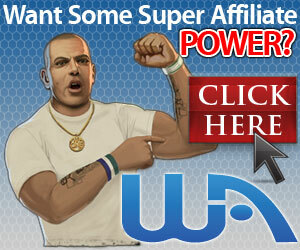 If you want to learn how to build a business Online, check out my review on Wealthy Affiliates. Thanks for visiting, check out my social sites Google+, twitter, and facebook. If you have any questions or comments, feel free to leave them below. I enjoy answering everyone. Previous Previous post: My review on TopCashBack, Is It Legit Or Scam? Next Next post: My Slicethepie review, Is It Legit Or Scam? I have used Fiverr over the years. Mostly, for custom design jobs or infographics. The Little task that I donâ€™t have time to do are great to high someone on Fiverr that wants to do it for $5. However, for article writing, I have found the quality of content is pretty bad. It is just $5 but has lots of grammatical mistakes. Sure, you can make money from it. But, I would suggest doing internet marketing so you can get residual income from it. Rather than spending 30 min just to make $5. However, they do have gigs that are for $35, too. They are for rushed work, custom jobs, etc. These sites are great way to make extra money to fund more lucrative opportunities. I agree with you.